Wind, as a leading financial data provider in China, is looking for intelligent and coachable people as we expand business development team in New York City. With some giant goals ahead of us, we know that we can only do it with awesome talented people on board — people of high integrity, people who want to be a part of something bigger than themselves, and people driven to be on the cutting edge of China's capital markets growth. A side note, this is a very entrepreneurial opportunity so if you need structure and constant instruction to succeed, this is not the place for you. Headquartered in Shanghai Lujiazui, Wind Information is the leader in China’s financial services industry. We are committed to providing accurate and real-time information and communication platforms to investment professionals. Founded in 1994, Wind Information has been the winner multiple times in Key Software Enterprise Accreditation within National Programming Layout, Shanghai High-Tech Enterprises, Shanghai Technology Giant Enterprises, Shanghai Innovative Service Industry Enterprises, and more. In the past 24 years, Wind has grown into the industry standard in China’s financial data services. 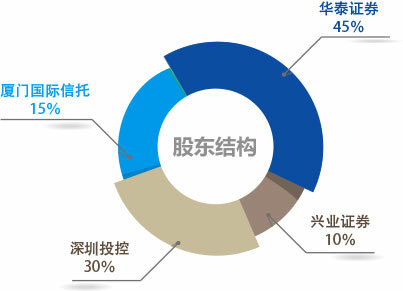 Currently Wind serves more than 90% institutional investors in China, and has also developed clients globally. As a leader in financial information services, Wind continues to break through and strive to lead the industry innovation. 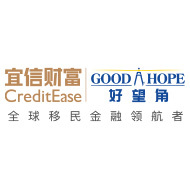 Headquartered in Shanghai Lujiazui, with over 40 branch offices in Beijing, Shenzhen, Nanjing, Hong Kong, New York, London, and more. This position is primarily responsible to the Bank’s Head Office Internal Audit Department (“HOIA”) for its New York Branch’s (“Branch”) internal auditing coordination and reviewing of all functions performed by the outsourcing internal audit firm and the Branch management. This position coordinates with outsourcing internal audit firm and the New York Branch management to conduct internal audit for the Branch and reports to the HOIA results of the audits. Also responsible for the Branch’s compliance daily work as assigned by the Branch’s Head of Legal and Compliance Department. Coordinate with HOIA, the Branch’s management and outsourcing internal audit firm to develop a comprehensive internal audit program for the Branch. Monitor the outsourcing internal audit firm to make sure all audits are on schedule. Coordinate with HOIA, the Branch’s management, outsourcing internal audit firm on the Branch’s internal auditing. Report audit findings and recommendations to HOIA based on the results of regularly scheduled audits, and at any time when issues need to be addressed by management. Arrange quarterly conference call among HOIA, the Branch management and outsourcing internal audit firm. Follow up and track the implementation done by the Branch and report to HOIA about the status. Assist HOIA on the Branch’s regulatory exams in internal audit as well as HOIA onsite audits, CBRC exams. Perform OFAC, BSA/AML related duties as assigned by the Branch’s Head of Legal and Compliance. Three years of internal audit experience required (experience with international financial institution is preferred). Candidate with bilingual (English and Chinese) skills is required. 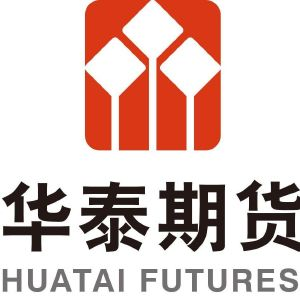 About Huatai Futures Huatai Futures Co., Ltd. (Huatai Futures) is a leading futures clearing brokerage firm in China with 5 branch offices in major metropolitan cities and 42 sales offices across China. Huatai Futures ranks in the top among 150+ FCMs in China, with over $3.1 billion total customer equity in 2017. Its asset management department managed over $1 billion of funds in 2017. Meanwhile, Huatai Futures is the largest OTC participant in commodity options trading. In 2017, Huatai Futures has traded over $27 billion OTC options, owning over 60% market share. Contact Please email your resume to junezuo@huataiusa.com. 1. Trading position (Exchange-Traded Options Market Maker) Primary Responsibilities: • Establish and implement the trading plan for the options market making • Monitor the automatic options trading system and correct/improve it once find the unreasonable behavior of the trading system • Set important trading parameters for the automated trading system and monitor the position risk during the option trading • Test and optimize the market-making strategies • Assist to create risk and profit plan in the department • Assist to create trading risk management plan in the department. Job Requirements • Master’s degree or above, financial engineering and other science and engineering backgrounds are preferred • 3-5 years of exchange-traded options trading, market-making trading experience are preferred • Familiar with systematic market making operations • Familiar with basic options profit and loss analysis, and the market characteristics of the listed products • Understand how to effectively control specific risks, and provide risk scenarios and response methods in the past trading experiences • Understand the role and trading plan of each position in the department, including profit and risk plan. 2. Trading position (OTC Options Hedging) Primary Responsibilities: • OTC commodity options pricing and trading • Manage the risk of OTC options hedging transactions, identify the risk of positions and take actions, track the major changes in underlying market and make decisions • Research the volatility of related products, explore the trading opportunities, and build relevant strategies or models. • Cooperate with other departments on the customers’ risk management plan and product design. Job Requirements • Master’s degree or above, major in applied mathematics, computer science, physics, mechanical engineering, electronic engineering, financial engineering and other related fields • 5+ years of experience in commodity options research or trading • Familiar with options pricing and risk management models • Excellent quantitative modeling capabilities, master in Python, MATLAB, VBA, etc. for development • Good at teamwork, and has strong sense of service • Overseas work experiences are preferred. 3. Business Development & OTC Structured Products Design Primary Responsibilities: • Development and maintenance of clients who trade OTC options • Design and provide OTC options plan according to customers’ business and risk needs • Establish the pricing model of OTC options and structured products • Provide trainings related to OTC options sales • Cooperate with company’s internal control department to conduct daily monitoring and management of OTC derivatives risks. Job Requirements • Master’s degree or above, major in mathematics, statistics, financial engineering and other related fields • Familiar with the basic principles and pricing methods of derivatives such as options • Excellent quantitative modeling capabilities, master in Python, MATLAB, VBA, etc. for development • 5+ years of work experience, overseas work experiences in OTC derivatives are preferred. 4. Risk Management position Primary Responsibilities: • Manage the risk of options business, domestic and overseas investment business, establish relevant rules and procedures • Responsible for risk analysis report and risk control strategy research • Conduct risk assessment, quantitative analysis and establish risk model for the trading strategies of various OTC options, domestic and overseas investment business • Review the options pricing model • Real-time monitor the company’s risk exposures and parameters, check the risk in the whole business implementation, propose solutions for risk events, timely report and take actions; Participate in credit risk prevention and related risk parameters monitoring/warning • Conduct stress testing and monitor risk parameters • Optimize the risk management rule according to the risk assessment and monitoring results • Asist in establishing company’s risk management rules. Job Requirements • Master’s degree or above, mathematics, finance, financial engineering, statistics and other related fields are preferred • Familiar with the risks of options business implantation, and has previous work experience in risk management • Passed securities qualification examination, futures qualification examination, CFA, CPA, FRM certificates are preferred • 5+ years of work experience, overseas work experiences are preferred. Company Description: Zenity Holdings is a leading global industrial investment group focusing on new industrial cities driven by investment and industry integration. Zenity Holdings now manages four public companies and a regional commercial bank, with operating assets of over $40 billion and financial assets of approximately $30 billion.